Meridian Chamber of Commerce – To serve, strengthen and promote the Meridian business community. to the Meridian, Idaho Chamber of Commerce located in the heart of the Treasure Valley. The Meridian Chamber is building relationships with businesses, government and the rest of the community to support our growing economy and outstanding way of life. 2018 best place to work in Idaho honoree, ICCU is the largest credit union in Idaho, with numerous branches serving more than 350,000 members. For over 50 years, Micro 100 has been producing highly durable precision tools. 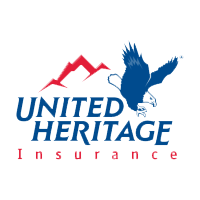 As the largest insurer headquartered in Idaho, United Heritage Life Insurance Company offers a wide array of life insurance and annuity products in 49 states.